There is something for everyone at Reserve at Seranade, Fairfield’s premier new home community! Centrally located at the crossroads of San Francisco, Sacramento, Oakland and Napa, world class shopping, culinary delights, and exciting happenings are all minutes away!Tucked along the convenient 680 corridor, Reserve at Serenade features spacious homes ranging in size from approximately 2,159-3,472 square feet. 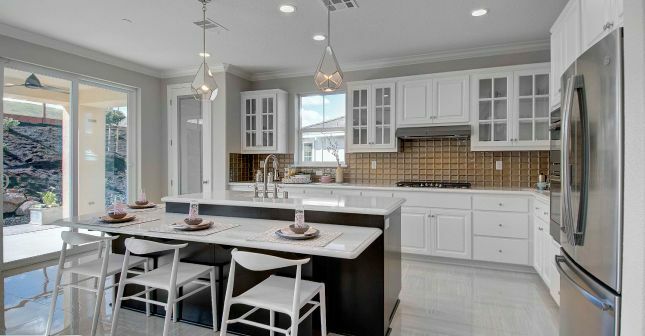 Every home at The Reserve showcases beautiful kitchens, expansive living areas, and many other noteworthy details.Seeno Homes carries forward a tradition of quality and excellence handed down from generation to generation. Established in 1938, Seeno Homes continues to bring the same dedication, commitment, and quality workmanship, as did the generations prior, to each new home it builds.